This lesson describes how to copy the properties and template of a DataGrid and apply them to another DataGrid. 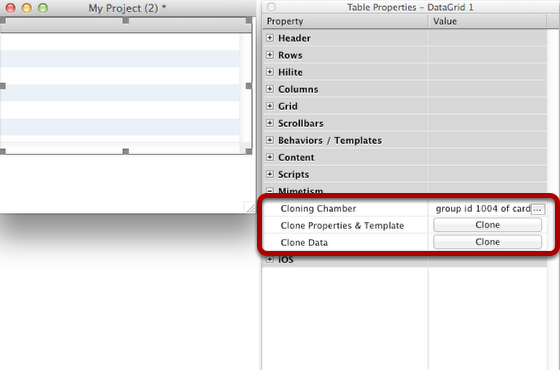 This option can be used as an alternative to copying pasting a Datagrid. 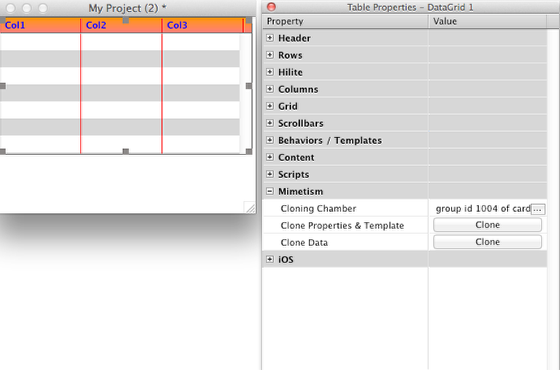 Or in the goal to apply the interface theme defined for a project. Putting the DataGrid in the "Cloning Chamber"
Select another DataGrid. The Clone buttons are now enabled. 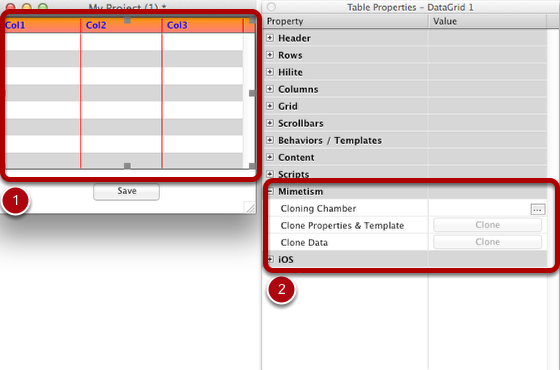 Click on the "Properties & Template" button. 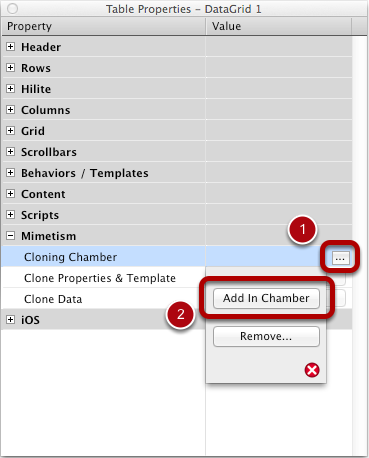 Select the Clone button to confirm the cloning. All the properties of the first datagrid are now applied to the selected datagrid, including the special properties DGH can add to the datagrid such as column color or formats. Prev: How Do My DataGrid Can Support UTF-8 or Unicode By Using DGH? 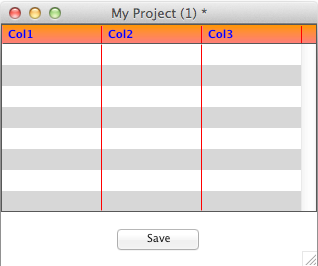 Next: How Do I Create a Checkbox in a Form?